Moore was founded during the land-run of 1889. Moore is a community founded on big dreams, great expectations and an attitude that all things are possible. The Moore community offers a blossoming culinary scene, one of the states leading school system, numerous affordable and quality homes, easy access to professional sports, and endless shopping opportunities. The Community of Moore offers an outstanding public school system, several excellent private schools, and nearby higher education facilities. The Moore Public School System includes 3 high school campuses, 5 junior high schools (grades 7-8), 23 elementary schools, and an alternative school. Moore is home to Hills Dale Free Will Baptist College, the Moore-Norman Technology Center, and is just miles away from the University of Oklahoma. 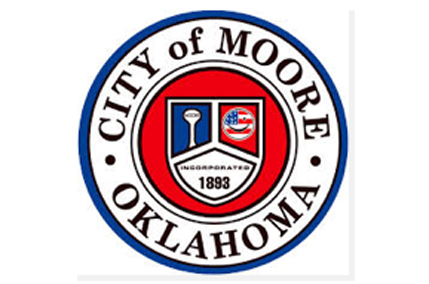 The City of Moore is an ever-growing community that has overcome devastation only to become a stronger more unified family. One major factor for the city’s growth has been its location. The close proximity and easy access the metro and the state’s leading attractions make Moore an attractive, convenient place to live.